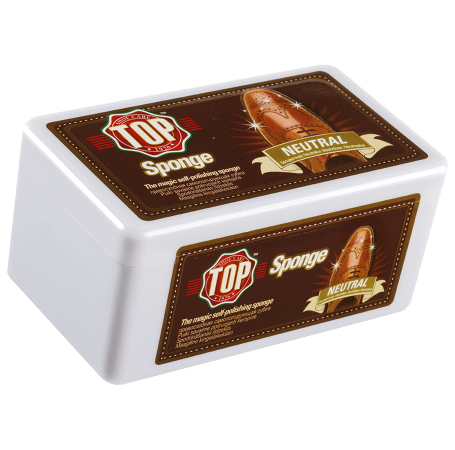 The self-polishing sponge soaked in refined silicone oils. A unique and matchless formula, cleans and polishes instantly and waterproofs every type of smooth/polished leather of any colour. Notes: The first and unequalled (over 60% market share). The most widely distributed. Product synonym. Quality of the selected oils. Longer-lasting. Smooth grip that does not scratch the shoe. This product is also available in black and suede. Smooth or polished, glazed, brushed, printed, eco leather. Suede, kip, untreated light, nappa, nubuck, peccary, alcantara.